Eli 15.0 had a strained tendon in the back of his knee last week and took two days off (the first days off he's had since we moved here). You may have some free time with that injury. Found something for you. He texted back quickly: Updated and revised. I didn't know what he was talking about, then I looked at the upper right corner of the book. 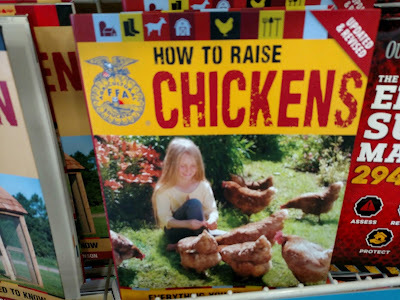 What kind of late-breaking information could be added to the original "How to Raise Chickens"? Is there some kind of new wave in chicken care? Went to the YMCA. Pretty swole.